It may seem like shopping for a pick up truck will be exactly like shopping for a car However, when you start to look at all of the special uses that a pick up truck has and all of the options that are available, it can be easy for a buyer to get caught up in all of the choices. This is where Carson Cars can come in to help you find the absolute best used trucks for sale in Seattle at a great price. Being a family owned and operated dealership that has been in business for over 40 years, Carson Cars has all of the experience and inventory to give you exactly what you are looking for. Each of the trucks that are in stock on the lot at Carson Cars have gone through a detailed inspection process to make sure that our customers are getting the best deal for the money. All you have to do is stop by and talk with us about what it is that you are looking for and our sales team will be happy to set up several trucks for you to check out and take for a test drive. Our main goal will always be to help you find a wonderful truck to exceed your expectations. Come in and talk with our staff at Carson Cars and let us know what you have to work with in terms of a budget. We can work with you to find a truck that falls in line with all of the features and capabilities that you are looking for. Whether you need to have a truck for work or recreation, we have the perfect model for you. 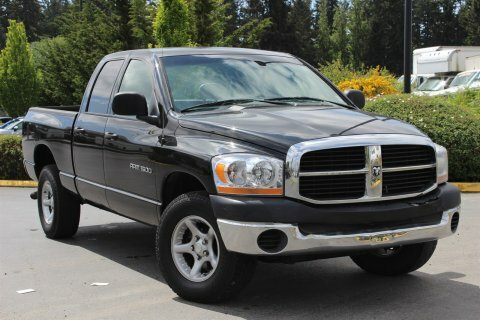 Carson Cars is your answer when you are looking for tough, dependable used trucks for sale in Seattle. Call (855)583-9356 for more information on selection.